Shawni Flint, owner of Accelerated Performance, brings a wealth of experience to the sports training field. 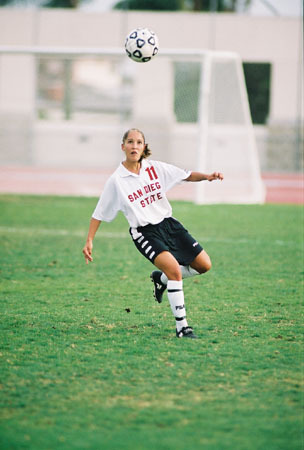 A San Diego native, she attended San Diego State University as a full scholarship athlete on the Division I Women's soccer team as the starting center mid/sweeper. During her collegiate career she captained the team for 3 years and was also honored as "Player of the Week" in Soccer Buzz Magazine. Before college, Shawni was also a 4 year Olympic Development Player as well as the Grossmont North "Player of the Year" 2 years in a row. Having played at the State, Regional, National, Collegiate and Semi-Professional level she has a lot of knowledge and experience to give back to the community that gave her so much growing up. Along with soccer, Shawni also played travel softball and ran competitive track. Following her playing career, Shawni's passion for working with young athletes, combined with her knowledge and experience in the sports performance field, led her to create Accelerated Performance where she could invest into the lives of the local athletic community. Her goal is to help young athletes set and achieve their goals, both on and off the field. She strives to instill a hard work ethic and passion for sports that was instilled in her from a very young age. Being a competitive multi-sport athlete growing up, she truly enjoys working with young athletes and pushing them to the peak of their athletic potential. Shawni has trained hundreds of youth, high school, college and pro level athletes to increase their speed and overall performance on the field. Growing up playing sports and now working with athletes of all ages and levels of ability has been a dream come true. Coach Drea is an elite soccer player from Cottonwood, Arizona. She played women's soccer at New Mexico Highlands University on a full scholarship as their starting forward/center mid; where she led her team in goals and received All-Region honors. Before New Mexico Highlands, Drea was a four-time First Team All-Conference player for Mingus Union. Drea helped lead the team to a State Championship in 2010 as the team's leading scorer and set a new school record for goals scored, as well as a State Runner-up finish in 2009. From 2010-12, Drea played for the Thunderbirds at Mesa Community College where she led the team in goals and was honored First Team All-Region both years. Drea ranks fourth on the Mesa Community College All-Time scoring list. She was also a two-year Olympic Development Player that represented Arizona. 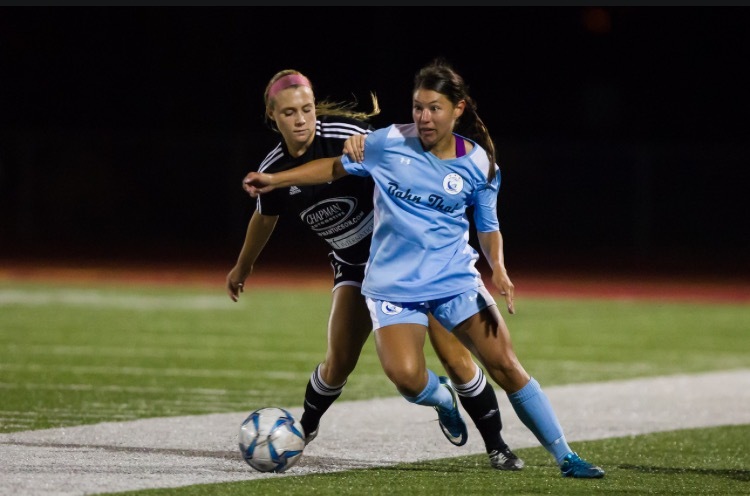 Following her college career, Drea continues to play at the semi-professional level with the San Diego Sea Lions as an attacking midfielder/forward. Her ultimate goal is to not only train the youth of San Diego soccer, but to inspire them to continue to play and reach their full potential. All the while, sparking their creativity and giving them the tools and support they need to build their confidence in their individual play. With this approach, she hopes to pass on the ideal that greatness is not what you have, but what you give. She looks forward to having a positive effect on as many youth athletes as she can and to help further build Accelerated Performance into the elite training program that it is. Kacie is an elite soccer player from Rhode Island. During her high school years, she led her Rhode Island High School team to a State Championship and was named to the All State team twice and the Newport County team all 4 years. She was also a 4 time All Division Player as well as Newport County Player of the Year twice. She also led her club team, the Rhode Island Rays, to 5 State Championships and 1 Regional Championship. Kacie was also part of the State ODP and Regional ODP pool for 4 years. After High School, Kacie went on to play for Longwood University on a scholarship as their center midfielder. At Longwood University, she was honored as a scholar athlete all 4 years and was captain of the team as a senior. After her college career, Kacie went on to play professional soccer for UPC Tavagnacco (Italy-Serie A) where they went undefeated in Serie A, won the Copa di Italia Championship, and finished second in league play securing a spot in the 2013-2014 European Champions League. After leaving Italy, she came back to the U.S. to play professional women's soccer for the Houston Aces. Throughout her playing career, Kacie was also organizing, conducting, and writing curriculums for various soccer clinics and camps. After she stopped playing, she continued running clinics as well as coaching competitive teams and personally training youth soccer players. Kacie has a strong passion for soccer and has a very powerful drive to motivate, push and encourage players to get them to play to their full potential. Paula is an elite athlete with an extensive background with track and field as a sprinter in the 100M and 200M dash and the 4x100 meter relay. Originally from Brazil, she graduated in Physical Education has since taught many kids and adults pacing for various running distances from 200 meters to 3 kilometers. During this time Paula also assisted in running techniques, foot-strike, and speed and agility for various sports. She found CrossFit in 2013 when she used it as a strength and conditioning program to supplement her Jiu-Jitsu training which she competed in from 2010-2012. A couple months later, she decided to take her Level 1 certification and became a CrossFit trainer and has competed in CrossFit as a team member. Paula also became a Regionals Super Team CrossFit PB member in 2015, became part of the CrossFit Regionals Team Invictus Unconquerable in 2017 and 2018, and competed at American Open Weightlifting and qualified for Nationals Weightlifting (58kg). Since then, she has dedicated her training and coaching to group classes and personal training. Her main goal as a trainer is to provide the best personalized service to each client and make sure they achieve their goals.